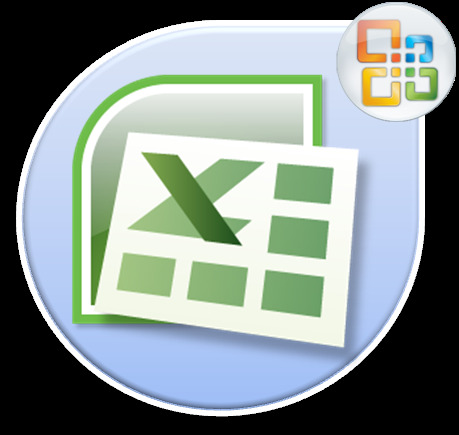 Microsoft Office Excel is more suited for working with spreadsheets. However, it is possible to make the text almost the same as in a text editor, including the to do list in one cell. 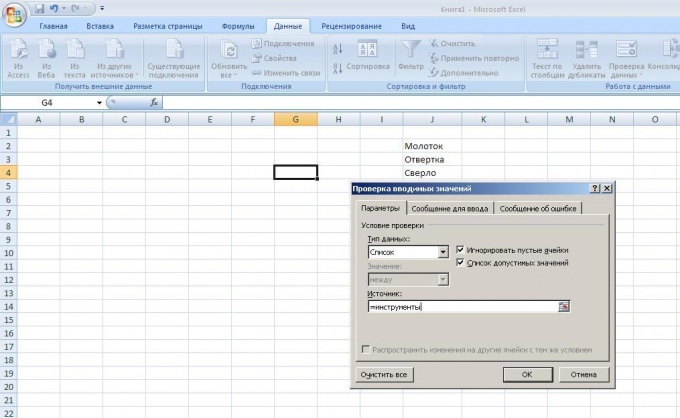 Launch Excel and position the cursor in the cellwhere you want to create a list. Before starting to enter data, set the cell in a suitable format. To do this, click the right mouse button and select in the right-click menu item "Format cells". Alternative: activate the Home tab, in the "Cells" on the toolbar, click "Format" and select the context menu "Format cells". This will open a new dialog box. For any list, even in the form of digital values, it would be better to use text format, so click in the window that opens on the tab "Number" and in the "number formats", select with the left mouse button the "Text". This means that your list will look exactly how you enter, and will not be converted to the formula or function. On the Alignment tab can additionally mark with a marker the box "wrap text" under "Display" and set the options for text alignment in the cell. After parameter setting is finished, click on the OK button, the window "Format cells" will be closed automatically. You will need to mark the list in the formatted cell, so start writing data with the icon or number line. Once the data is in the first row are entered, press the Alt key and while holding it, press the Enter key. This will allow you to move to the next line in the same cell. If you are used to enter text not in the cell and in the formula bar, use the same principle: press the Alt and Enter everytime you want to go to a new line. At the end of the data input adjust the width of cellsby dragging the column border to the right or use the AUTOFIT feature for columns. 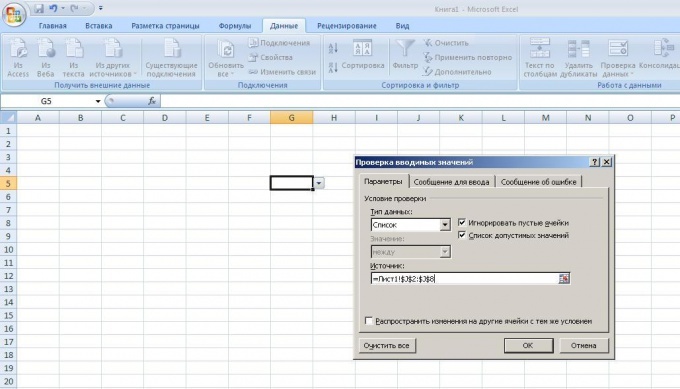 In Microsoft Excel is very easy to work with different tables for calculations. Based on them you can create reports, build charts of different types and graphics. 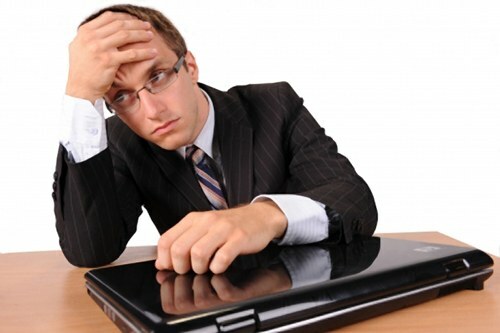 When working with data one of the supporting elements in Excel is a drop-down list. With this element the user can select one value from a range of preset, the same type of data. Setting the drop-down list is in Excel. You can set the drop-down list through the appointment of a special type for the data range, or when using the control. In a table or list, select the cells containing the data you want to put in a drop-down list. In the menu select "Insert" - "Name" "Assign". Further, in the requested field, type a name for the selected range and click "OK". In the worksheet, select the cell to set the drop-down list. In the menu open "Data" - "Validation". After that navigate to new window in the tab "Settings" in the dialog field "data Type" insert the string "List". At the same time in the same window will appear the "Source". Enter the symbol "=" and the name of the selected range, which was specified cells with the data. To apply settings press "Enter" or "OK". This is the most simple variant of the drop-down list. At the same time in the same window will appear the "Source". Enter the symbol "=" and the name of the selected range, which was specified cells with the data. To apply your selections, click "Enter" or "OK". This is the most simple variant of the drop-down list. 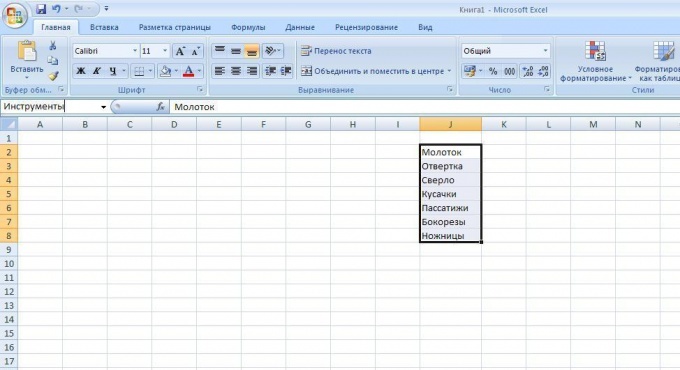 In Excel there is no way to set the drop-down list with a more complex design. To do this, use the control called "list box", inserted into the Excel worksheet. To install it, open the menu "View" then "toolbars" and "Forms". Click on the opened panel controls icon combo box" - this is a drop-down list. Draw with the mouse a rectangle in the form fields. Highlight, right-click the drawn list, and specify the Format of the object...". In the dialog box in the "create a list range set the desired range of cells. 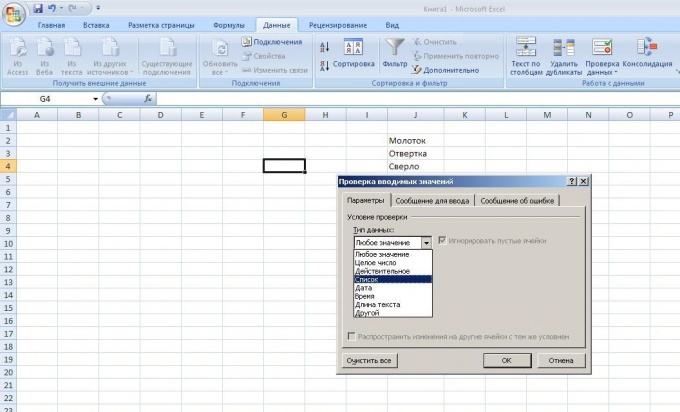 To do this, the mouse select the cells which should be in the drop-down menu of Excel. In the field "cell Link box, select the location number to output the sequence number of the item selected in the list. Specify the number of rows in a generated list. The "OK" button will apply all settings, and the list is ready to use. But in cases where the number of possible values is much smaller than the number of filled cells, each entry is not the optimal solution. Much faster to create a drop-down list and select one click of the mouse. In order to create a drop-down list you want to create a data source with the values for the list. On a separate sheet of an Excel workbook create a column with all the correct options values. 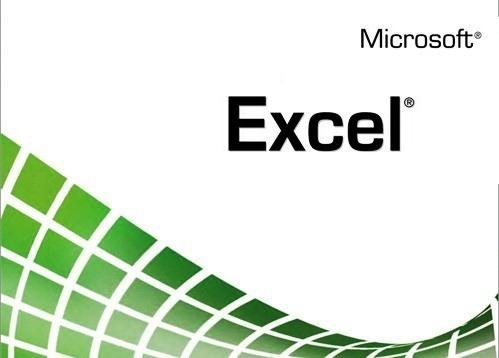 Microsoft Excel is one of the most popular programs of the Microsoft Office package. It is convenient in that it has a wide variety of functions allows to make complex calculations. 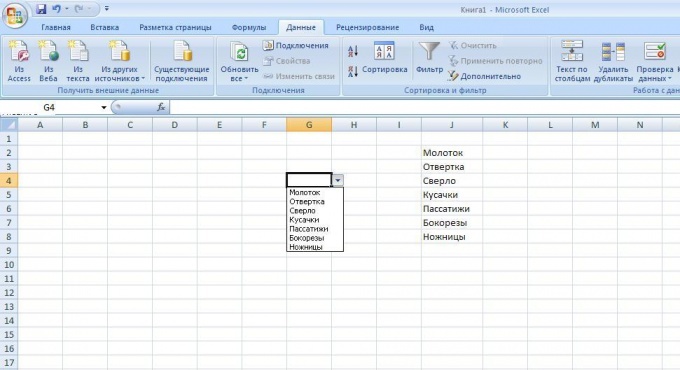 The most popular of these functions is the preparation of the drop-down list. First you need to compile the list of interesting items. They should be placed in the order in which you want to appear. You now need to allocate the list and assign it a name. It should be administered in line in the upper left corner where usually is written the address of the cell. In our example the list is named "Tools". Next, select the cell in which you want to create a list, for example, it is G4. Then in the tab "Data" click "data Validation". In the opened window, in the field "data Type" choose "List". After that, the window should appear in the line "Source." It is necessary to specify the list name after the " = " sign, and click "OK". Now in the specified cell, you can select an item from the list specified by us. If you want to make the same list in a different place, you can just copy and then paste it wherever you want, even on another sheet. To view all the lists created in this file, you can click on "name Manager" in the tab "Formulas". Here you can create, delete and change your lists, and view their properties. If there is a need to create a drop-down list on the adjacent sheet, select the cell, click "Data" then "data Validation". In the row "data Type" select "List" and the "Source" you need to specify the sheet name and range. The name of the list in this case will not fit. In our example, the list of items are located in the range at J2, J8, so I write =Sheet1!$J$2:$J$8. This range can be copied from the name Manager in the Formulas tab. The easiest way to create drop down list in Excel is to press Alt + ↓. It is necessary to select the cell immediately adjacent list items. I.e. in the example described above, this technique will only with cells J1 and J9. Of course, the functionality of this method is very limited, but in certain cases it can be useful.